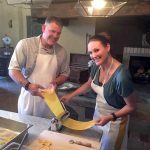 Welcome to the Cooking with Wine Blog! We are Angela and Mark, and food is our passion. We want to share this passion with you! Here we will share our favorite recipes, places to eat, cookbooks, markets, tips and tricks, and so much more! So, pop that cork and dive right in! You may find this hard to believe but I had Shepherd’s Pie for the first time ever this past year! Now that I’ve had it, I don’t know why I’ve avoided it for so long. Well, I have an idea as to why this happened, but let me give you a bit of background…. Growing up I was a VERY picky eater. I shed many tears over trying new foods or eating the veggies that my parents prepared. I spent numerous hours sitting at the dinner table staring down a plate of peas trying to figure out how to dispose of them without anyone knowing. And I still hate peas to this day. I’m also not a fan of lamb that tastes, you know, lamby…. I’m sure you can see my problem with traditional Shepherd’s pie now, right??? When Mark knows I either haven’t had something before OR that I’m not a fan of some ingredient, he sees this as a challenge and gets really excited to change my mind. I could see the wheels spinning as he started looking through our pantry and spice cabinet, and dotting things down on a notepad. After a few minutes, he said, “I have a plan, and it will be awesome!” I’ve heard these words many times, and 9 out of 10 times, he is 100% correct. And it was AWESOME! So awesome in fact that we made it a few days later, and then made extra that could be frozen and made at any time! So, here we are with this ground veal and beef Shepherd’s Pie with edamame beans in place of peas (I still got my way on the peas). He has not been able to break the relationship I have with peas yet, but I know he won’t stop trying! 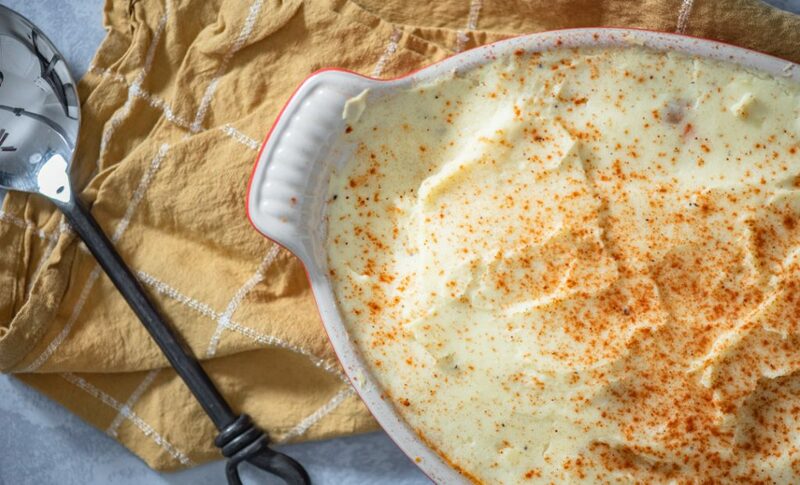 I hope you give this a try whether you love or hate Shepherd’s Pie, and let us know in the comments what you think! 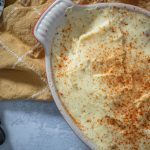 The best Shepherd’s Pie you’ll ever eat! Peel and dice potatoes (1/2 inch pieces). Add diced potatoes to a pot of water and bring to a boil, covered. Reduce to simmer and cook uncovered until tender (10-15 minutes). Drain water from potatoes and return potatoes to saucepan. Heat butter and half and half in microwave until warmed throughout. Mash potatoes and add warmed half and half and butter. Add salt and pepper and continue to mash until smooth. Stir in egg yolk. Set aside. While potatoes cook, prep filling. In a large pan, add canola oil over medium high heat. Add onion and carrots and saute just until they begin to take color (3-4 min). Add garlic and stir to combine. Add beef and veal to brown and cook throughout. Sprinkle flour over mixture and toss to coat. Cook for another 3-4 min. Add tomato paste, chicken broth, Worcestershire, rosemary, thyme, and stir to combine. Season with salt and pepper. Bring to a boil then reduce heat to simmer for 10-12 minutes until sauce is thickened. Add the corn and edamame beans and mix. Remove from heat and spread mixture in a 9 X 9 inch baking dish. Layer with mashed potatoes. Sprinkle paprika on top and bake for 25 minutes uncovered. Let cool for 10 minutes before serving. If you liked this post, please follow and like us! Hello Fall and all things pumpkin, I missed you!!! If you are like us at all, we crave the first chill of Fall, the blankets and hoodies, the crisp air and unpredictable weather (here in Texas anyway), and of course PUMPKIN, PUMPKIN, AND MORE PUMPKIN! 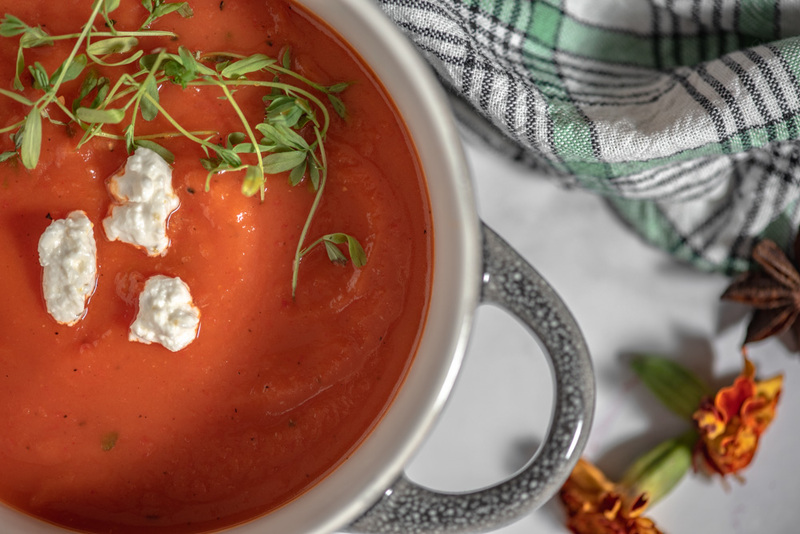 Well, let me help you dive right into Fall with this irresistible Pumpkin and Roasted Red Pepper Soup. So, maybe you are like Mark and me and you are saying, “Bring it on!” Or maybe you are like my sister who says “Ew, no thanks! I’ll pass on the pumpkin. I don’t like pumpkin.” I found that people either love pumpkin or hate pumpkin. 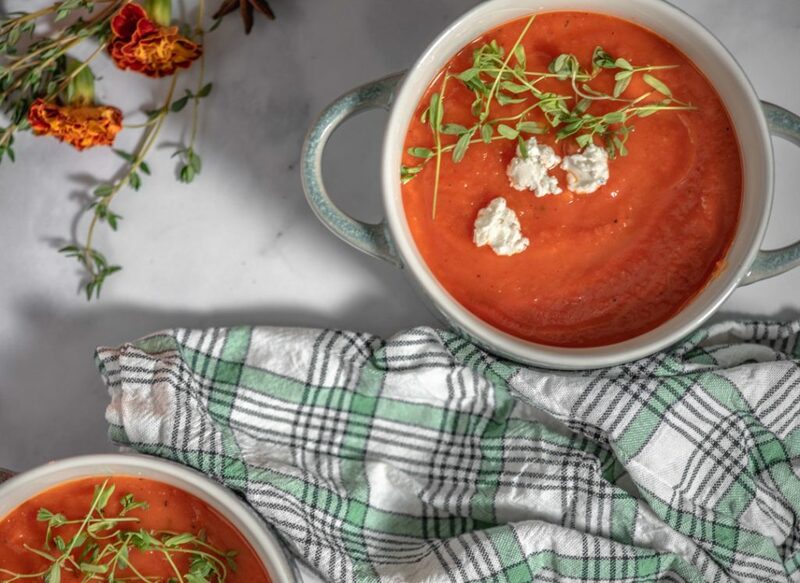 But this soup is surprisingly subtle on the pumpkin, and definitely doesn’t have that pumpkin spice pie type of taste that is the quintessential flavoring for almost everything in October (call me basic if you want, but I love those pumpkin spice lattes!). Anyway, this soup is NOT that. It is deep and rustic, warm and slightly spicy, rich and decadent. It is everything I have ever wanted in a pumpkin soup. So, for all of you I-don’t-like-pumpkin people, give it a shot! For all of you pumpkin lovers like Mark and me, make it NOW! Seriously, tonight. Because you will want leftovers for lunch tomorrow, I promise you that! 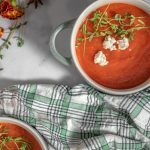 The best pumpkin soup you will ever eat!